The world of design has changed dramatically in the years I have been teaching but one thing that didn’t change for a long time was the process of bringing a design concept to market. At one time this was done by professional designers or entrepreneurs with a great deal of experience in the market otherwise no one would take them seriously. Admittedly, along the way, competitions such as Young Engineers provided a platform for wannabe inventors to show off their creations but this was often limited to the finalists. 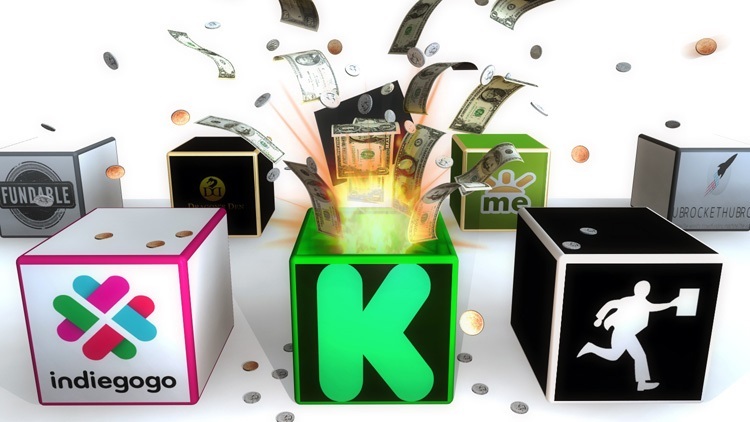 In recent years a new concept for getting your design to market has emerged; crowd funding. Alongside the emerging Kickstarter and Indiegogo communities, TV shows have increasingly shown an interest in aspects of design. From makeover programmes to shows like Dragons' Den and the Apprentice, design has taken centre stage in the world of business. Add in the ease with which a YouTube channel or website can be created and you not only have a platform to showcase your ideas, but an almost limitless audience to view them; presuming you get your marketing strategy right. I previously looked at exit strategies at various key stages and alluded to the options available to the more able design students after examination level. One thing that really didn’t happen in the past though was taking a GCSE or, more likely, an A-level project and using that as basis for further development ready for the consumer market. I have lost count of the innovative projects that actually took this approach only to be abandoned at the door as the students ran out into the summer sun, freedom and possibly a first trip to Ibiza. That project they sweated over for a year or more is now little more than excess baggage they don’t want to take on their adventure into life. Of course, a few students are a little more resourceful and choose to register their designs ‘just in case’ the opportunity arises later for development. Occasionally, a project has so much potential for commercial development and success that a student will eschew higher level study and instead try and take their project to the market. Once almost impossible, the crowd funding approach now makes this a genuine possibility. Bearing this in mind, instead of teaching students to work in a certain way in order to get grades shouldn’t we be encouraging a more entrepreneurial approach to design? It should result in a quality piece of project work that can ‘tick the boxes’ for the award but also provide a portfolio of design work and a prototype or proof of concept that can be used to secure employment or provide the basis for a crowd funding project. Passing exams and producing products with commercial potential do not have to be exclusive but the current curriculum only touches on ideas of business strategies, marketing and raising capital leaving these two concepts, and many more, to Business Studies. It will always be impossible to cover every aspect of design and industry in a two year course but, as seen in shows like the Apprentice and Dragons' Den, it’s often a design idea that is the basis for a business proposition. Even if it’s not a tangible product, there still remains the creative drive behind the marketing and advertising of any product or service. Whichever way you look at it Business Studies and Design are intrinsically linked and becoming increasingly dependent on each other. The more I taught this subject, the more I saw the importance of studying elements of business and commerce as part of the process. Not just a casual reference to those aspects but using that knowledge to be able to bring a new product to the market; as an integral part of the design process and the examination. Additionally, this would give students a greater choice in what career to pursue post A-level study rather than the usual degree route. To close on an anecdote, I used to work with a business studies teacher who had an entrepreneurial approach to the teaching of the subject who continually talked of how D&T should be in the same faculty as business. At the time I was dismissive of his suggestion as I was far too wrapped up in leading creative arts. He has now left the profession to establish his own company; realising his ambitions of becoming an entrepreneur, but he regularly contacted me to provide advice on aspects of design. Having worked with him since as a designer and businessman, I now see more clearly the synergy between the two department and, having worked with students taught by both of us, I saw how they were captivated by the early projects we both developed in school. How many of these have gone on to be design entrepreneurs I couldn’t say for sure but there were certainly many who went into creative industries or creative business. We shouldn’t underestimate the importance of these new platforms for ‘kick starting’ a young designers aspirations. While me may still see progression onto a university course the definition of success, we should also be mindful of the possibilities for a young person to use the technologies available to them to start a career in design without the degree. After all, the £50k expected debt of a university student would provide a healthy investment in their future as entrepreneurs and as teachers of design, we have a responsibility to ensure that the educational experience we offer provides them with both choices.